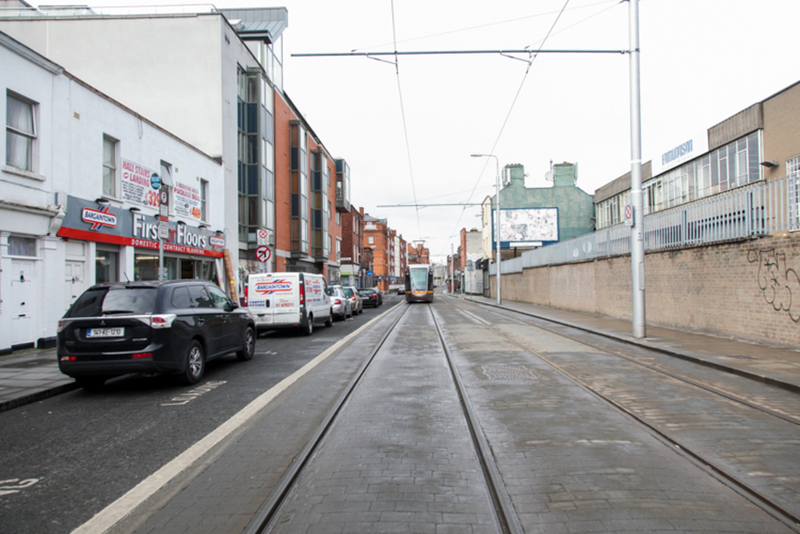 As the Luas Red Line glides through Dublin’s city centre, it passes trash-strewn empty lots, vacant patches, and boarded-up buildings. Some of these are owned by organizations that we would expect to be good proprietors: the Office of Public Works and the Law Society of Ireland. And there is a law on the books that should allow Dublin City Council to fine owners of derelict properties until they clean them up or develop them. So why are there still so many properties along the tracks that most folk with a dictionary would call derelict? Well, for a start, none of these underused properties along this stretch of the Red Line have been judged as legally derelict and put on the city’s Derelict Sites Register. To the lay-Dubliner, the brevity of the council’s Derelict Sites Register is a source of bafflement. There are just 59 sites listed, and that low figure doesn’t mesh with the experiences of many who wander around the inner-city. There’s disagreement about why that number is so low. Is it because the courts have set a high threshold for inclusion? Or because the council hasn’t pushed back against those sitting on derelict sites? The definition in the Derelict Sites Act certainly seems rather broad, like it might include a lot more than 59 sites in Dublin. It includes any site which “detracts, or is likely to detract, to a material degree from the amenity, character or appearance of land in the neighbourhood of the land in question”, either because of structures that are “ruinous” or dangerous, or because of the “neglected, unsightly or objectionable condition of the land or of structures on it”, or “the presence, deposit or collection of litter, rubbish, debris or waste”. If a site fits that definition, and the owner doesn’t clean it up, Dublin City Council can put them on the Derelict Sites Register and charge them an annual levy of 3 percent of the market value. 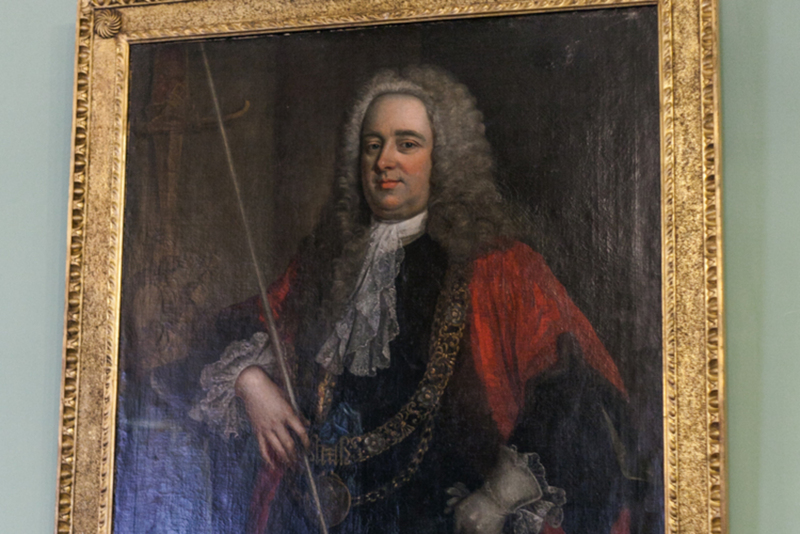 The problem is that attempts to do that often end up in court and the courts have tended to interpret the definition of “derelict” very narrowly, says Dublin city councillor Andrew Montague, of Labour, who is head of the council’s planning committee. There’s a process that the council goes through if it thinks a site is derelict. Officials write to the owner, and they have a period of time to clean it up. If they don’t, then they end up on the list. “There’s quite a limited set of criteria, and it would need to be neglected if that’s the word I can use,” said Tom Dunne, Head of the School of Surveying and Construction Management at Dublin Institute of Technology. 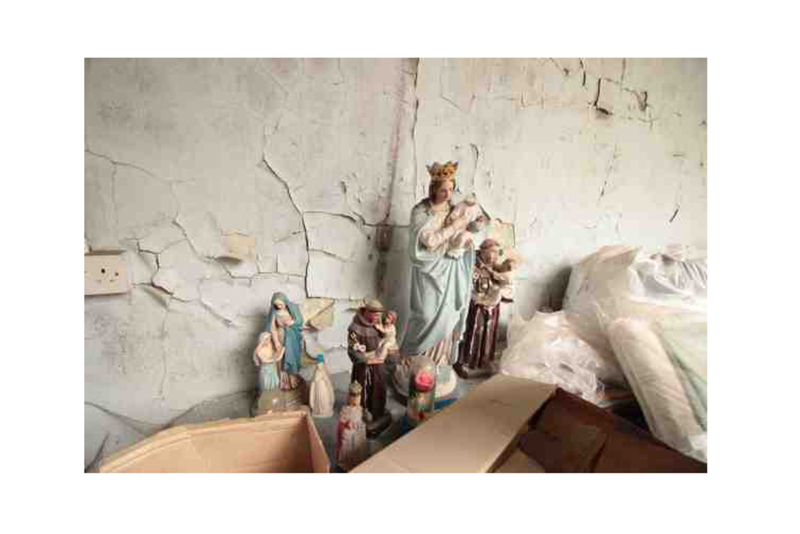 In December 2015, Dublin City Council’s chief executive, Owen Keegan, told the Irish Times that the council had been “too deferential” to property owners and “unduly tolerant” of sites which blight the city. It was something some city councillors had been saying for some time. McAdam says he has seen the council succeed in court in some cases, such as some properties in Phibsboro. What he believes made a lot of difference for these sites, was the dedication of the council official who plugged away at it. If more council officials had worked with such zeal, the council might have also pocketed more money from sites. The value of land has changed a lot over the years, but right now in the inner-city, it is about €4 million for an acre. So, for a site that covers a quarter of an acre and was put on the Derelict Sites Register with an annual levy of 3 percent, the council could have brought in €30,000. The limitations of the Derelict Sites Act is that “It’s really intended to make people clean them up, it’s not intended to ensure that a vacant site gets developed,” says Dunne of DIT. Which is why councillors and officials lobbied for years for a vacant-sites levy. In the coming years, that new vacant-site levy will be rolled out. Owners of vacant sites will be charged at a rate of 3 percent of the market value of a site — although the council, state and semi-state companies are exempt. The first step is to set up a register of vacant sites by 1 January 2017. The next step will be to issue notices to owners of vacant sites by 1 June 2018, in relation to sites on the register on 1 January 2018. And vacant-site owners will start to pay in 2019, for sites on the register in 2018. The vacant-site levy has been criticised for being too slow to come into effect and too modest. But if Dublin City Council uses it, it could make a difference to the underused sites such as those along the Red Line, which slip outside the remit of the Derelict Sites Act. In the past, owners of vacant sites “were getting away with the bare minimum from keeping these sites in, basically, an appalling situation and they were basically laughing at us. And now, with the vacant sites levy, we can hit them,” said Montague. Right now, one of the largest underused sites along the Red Line is a patch of grass owned by the Office of Public Works, which sits, scattered with rubbish, at the corner of Church Street. Another is a site behind a fence on Benburb Street, owned by the Law Society of Ireland. The OPW didn’t reply to questions about the site’s value, and their plans for it. Kathy McKenna, who handles PR for the Law Society of Ireland, said in an email: “The plan is to integrate this site into the existing Blackhall Place campus at some point in the future.” She didn’t give details of when this might happen. The Law Society’s site is currently advertised online as a available to rent for film companies with rigs, or as open storage, or as a car park. “Any potential user would have to apply for the appropriate planning permission. However, there has been little interest in this offering over the past number of years,” said McKenna. The Law Society is “conscious of its social responsibility regarding the appearance of the site,” she added, and there are plans for another art installation on the boundary fence in collaboration with the arts organisation The Complex. Further along the Red Line at smaller sites towards the city centre, there are some newish notices hooked onto fences, indicating intent to apply for planning permission. 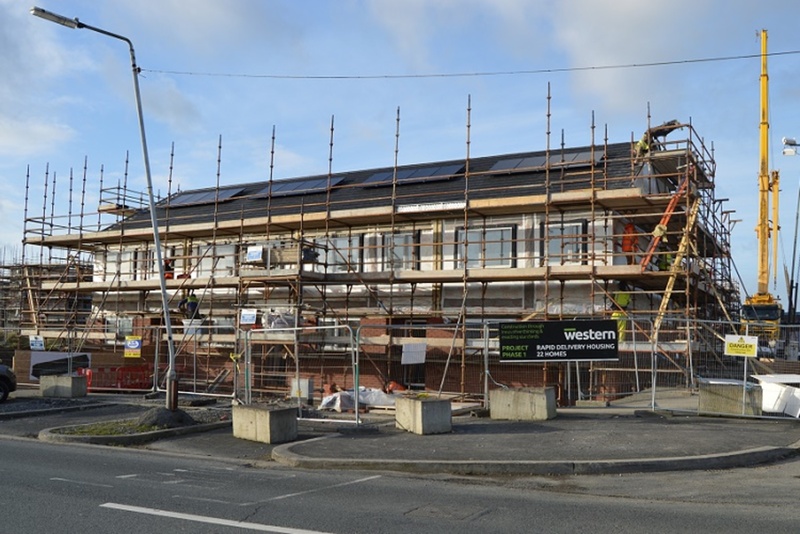 On 6 November 2015, a notice went up at 144 Abbey Street Upper to announce plans by AXA Ireland Limited to carry out a five-year improvement scheme, including some landscaping to make a garden on the site. Down towards Heuston Station, Tuath Housing Association is working on a feasibility study to use the abandoned Ellis Court for social housing. At Dublin City Council’s Central Area Committee meeting on Tuesday morning, councillors agreed to write to those responsible for three of the biggest sites on the Red Line from Abbey Street to Heuston Station– the OPW, the Law Society, and NAMA – to ask them to set out their plans. “I think they should kind of put up, or move on,” said local councillor Ciaran Cuffe, of the Green Party, who put forward the motion. Back in 2014, a Dublin City Council presentation tallied up roughly 90,000 sqm of property that could have been developed but hadn’t, on the strip that runs along the Red Line from Abbey Street to Heuston Station. Today, there are small pockets of change, but the big picture remains much the same. Cuffe said he intends to keep the pressure on the owners of the underused sites along this stretch of the Red Line. It’s expected that Owen Keegan, the council’s chief executive, will give a report to councillors in the coming weeks on what the get-tough measures mentioned in December will actually mean. Very timely look at this issue. It seems the problem lies with the courts. So who clears that up? The Act has to become for effective. Dereliction is such a problem. What about the factory/office block next to 5/6 Benburb street? Is it in use? It looks like its been falling apart for over 30 years! If it was any other city they’d at least open up some of these empty spaces as artists studios to bring some life back into the area – then sell it on at some later date. There seems to be no real understanding of basic urban development in Dublin. I’m loathe to promote a DCC travel junket but they really should take a trip to Berlin or other cities to learn a few things. Dublin really is more like a bloated, badly run country town than a capital city. High time a Dublin city map was drawn up of who actually own the city. Hopefully now that the economy is picking up, this plan will see the light of day! Dublin City Council has always enforced the Derelict Site legislation. The process is a statutory one which is quite complex. At any one time there is a significant number of sites being investigated by the Derelict Sites Unit (DSU) but it cannot be inferred that every site being investigated will automatically end up on the Derelict Sites Register. The Derelict Sites Unit adopts a two-pronged approach to dealing with complaints. In the first instance the reputed owner is advised of his/her obligations under the 1990 Act, and requested to carry out the required improvement works. This approach is quite successful, resulting in the vast majority of sites being remedied. When this approach does not yield the desired results the formal procedures under the Derelict Sites Act are invoked. The Derelict Sites Unit carried out 744 inspections in 2015 which culminated in 245 warning letters to property owners. As a result of the persistent endeavours of the DSU through correspondence and phone calls to owners, further action was required in the case of 33 sites only. Despite all endeavours of the DSU 21 sites eventually ended up being placed on the Derelict Sites Register in 2015. It should be noted that at the same time 20 sites were removed from the Derelict Sites Register, having been rendered non-derelict by virtue of works being carried out to same. Currently the total number of sites on the Derelict Sites Register is 54. The number of live files currently under review stands at 450 a number which fluctuates continuously. Dublin City Council has not failed to put sites on the Derelict Sites register nor have millions been lost. All sites on the register are levied and where the levy is not paid interest is charged in accordance with the legislation. In those cases where a levy remains unpaid, a charge is placed on the land. It should be remembered that the primary purpose of the derelict sites levy is to eradicate dereliction and not to create additional revenues for local authorities. This site is in State ownership and is earmarked for a major redevelopment proposal to provide court related and state facilities. This site is not the subject of a derelict site investigation and no complaints have been received in relation to dereliction. In relation to the site at Benburb Street this is in ownership of the incorporated Law Society and discussions between the Incorporated Law Society and the City Council indicate that they have earmarked this for development associated with consolidating their position in this part of the city to provide specialised legal and educational facilities. When this site was last inspected by DSU on 16th June 2015 it was not found to be derelict. The City Council continues to be fully committed to the prevention and eradication of dereliction in the city. Dereliction is a national problem – just look out the window on any train journey….Also national is the problem of local authorities holding owners to account for the maintenance of their property. It goes hand in hand with a sweeping tolerance for littering, graffiti, eyesores, etc. Is there a solution? Not until people demand it. The OPW site is to be developed as a family law court complex including a new children’s court. Planning permission recently appeared on the site at Benburb st owned by the Law Society for a hotel and sports grounds. The other site on Benburb st, the old factory, is owned by Bargaintown apparently. @daved: @dave like which city? You said any other city, so, say, Harare in Zimbabwe, would that happen there? Can you give us some examples? This seems to imply that the council management are not doing what the council tells them to do. Surely, council management should answers to the council. If not, who does it answer to, the Minister?